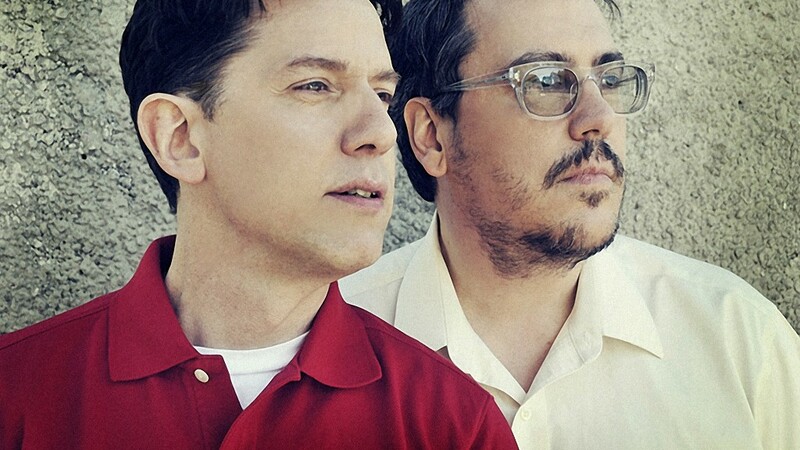 TMBGs John Linnell chats about the band’s new LP Glean, which features tracks from their Dial-a-Song project. TMBG’s Dial-A-Song, Week 19 is ECNALUBMA, with video by Paul Sahre and Todd Goldstein. 25 years after Flood, I’m pleased and surprised to discover that their latest three could stand as the same. Their recent albums are their best, freshest, most surprising, and most representative since their first few, which seems like an impossibility in our peak-early popular culture. They Might Be Giants perform “Answer”, from their new album Glean, live on Conan. Watch it here. An instrumental created with sounds from Mellotrons and Chamberlins. From TMBGs brand new album Glean, just out. Visuals from Chris Smith. Starring Roger Kisvarday. Many dog biscuits were injured in the making of this video. …in some ways impossible to summarize or pigeon-hole, but the overriding emotion one is left with after the album’s forty minutes is through is a delirious sort of joy. so who’s good for nothing? did you say out loud that YOU THINK YOU’VE LOST YOUR EDGE?